A beautifully made bag. We hesitate to call it a backpack because that conjures up visions of camping and roughing it. 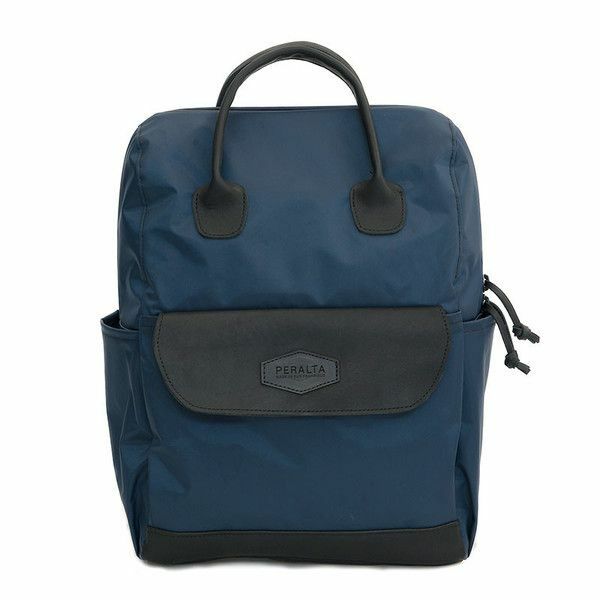 The Balani Backpack from San Francisco-based Peralta is far from that. This is a fashionable, chic-looking bag that will take you to work and beyond. It’s designed out of coated taffeta (also available in more conventional, ballistic nylon), making it lightweight, durable, and easy to clean with a damp cloth. The leather top handles, accents, and base add to the smart style. We also love the built-in padded sleeve that can hold a 15-inch laptop, exterior side water bottle pockets, outside pocket, and the classy, gold interior with zippered pocket. Made especially for women, the Balani has S-shaped shoulder straps that rest comfortable our body, distributing the weigh evenly, and the breathable, padded back augments its comfort level. As they say, this is the bag for “the bold, smart, creative woman” – sounds like a TrailblazerGirl to us!